Works fine and seems reliable. I have only used this scale minimally, but it does the job well and seems pretty well made. Accurate and has an easy to read display. 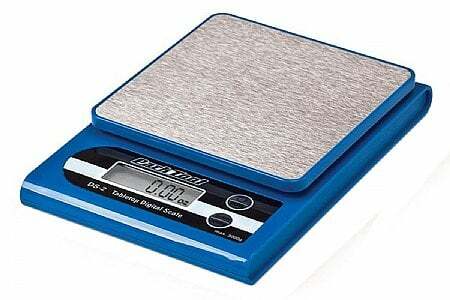 The Park Tool DS-2 Tabletop Digital Scale is perfect for weighing the small parts you always wonder about. I found a huge difference in wheel skewers for example. 55g for my ZIPP titanium, 145g for the ones I was using earlier, I had no idea it was that large a weight savings. I also (mostly) use this scale in my kitchen when I'm weighing food in an effort to keep on my diet and maintain a good race weight. Love it.